Plants form a rosette of low growing foliage with numerous flower stems 20 to 90 cm tall. The stems rise above the foliage and branch near the top of the stem and end with the pink flowers which are 3-4 cm across. The flowers have five narrow petals deeply divided into four lobes giving the flower an untidy, ragged appearance, hence its common name. The calyx tube is five-toothed with ten stamens. The leaves are paired, with the lower leaves spoon-shaped and stalked. The middle and upper leaves are linear-lanceolate with pointed apexes. All of the leaves are untoothed. The stems have barbed hairs pointing downward and these hairs make the plant rough to the touch. Ragged Robins bloom from May to August, occasionally later, and butterflies and long-tongued bees feed on the flowers nectar. The fruits consist of small (6-10 mm) capsules opening on top by five teeth and containing many small seeds, they are found on the plants from August onwards. It has become naturalized in northeastern United States as well as parts of the South East of the UK. The chicken (Gallus gallus, sometimes G. gallus domesticus) is a domesticated fowl likely descended from the wild Indian and southeast Asian Red Junglefowl (Gallus gallus) and the related Grey Junglefowl (G. sonneratii). Traditionally it has been widely accepted that the chicken was descended solely from the former, as hybrids of both wild types tended toward sterility; but recent genetic work has revealed that the genotype for yellow skin present in the domestic fowl is not present in what is otherwise its closest kin, the Red Junglefowl. It is deemed most likely, then, that the yellow skin trait in domestic birds originated in the Grey Junglefowl. 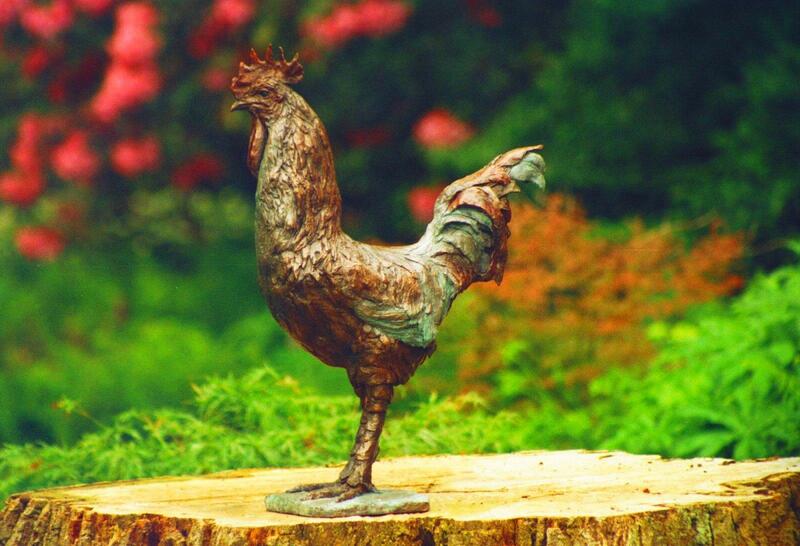 The chicken is one of the most common and widespread domestic animals. With a population of more than 24 billion in 2003, there are more chickens in the world than any other bird. Humans keep chickens primarily as a source of food, with both their meat and their eggs consumed. Added bonus for the new munzee hunter ! Download to your Device and enjoy the fun of from your smart phone, munzee lets players hunt, hide and capture items that are hidden in the real-world. Watch this space for news and fun..
Is that tree looking at me? Hi, I am Ragged Robin, I love to go caching but there is always something to get in my way. 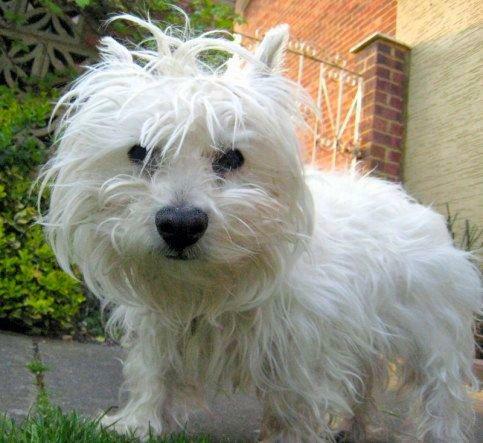 My smashing little friend Holly and walking partner (West Highland Terrier aged 16) is missed on my quest for caches,as she sadly died in April 2007. On a brighter note, I am currently working as a Building Surveyor for a property Maintenance Team in Surrey; I also live in leafy Surrey UK. Hobbies are Walking, Photography, Architecture and I have a passion for gadgets. Happy caching everyone and I hope to meet some of you while I am out. Fell from a high tree. Fell from a low tree/branch. Won't go there due to H&S. Scratched and tangled by brambles. Got horribly wet in the rain. Told to"get off my land"
Spoken to by the police. Explained what I was looking for. Ended up in someone's private garden. Forgot to download cache info. Forgot to sign the log due to panic. Converted a muggle to a cacher. Forgot the spot where the cache came from. Got confused and visited one cache twice. Pretending my sat nav was a phone. Doing up laces that don't exist. Geocaching is a high-tech treasure hunting game played throughout the world by adventure seekers equipped with GPS devices. The basic idea is to locate hidden containers, called geocaches, outdoors and then share your experiences online. Geocaching is enjoyed by people from all age groups, with a strong sense of community and support for the environment.